Quercetin is a potent and versatile flavonoid and phytonutrient which may help support healthy histamine levels and normal inflammatory processes in the body. Quercetin is a member of the flavonoid family. Flavonoids are a diverse group of low molecular-weight compounds found throughout the plant kingdom. Flavonoids exhibit numerous biological activities. Quercetin is also an antioxidant and may help support and maintain healthy levels of Cholesterol. Bromelain is a enzyme derived from pineapple, and one of the most efficient aids to digesting proteins, promoting their absorption and maintaining digestive health. It also has many other uses, including maintaining a healthy cardiovascular system and normally dispersed blood platelets. Ideal for long distance air travel. Particularly useful for older people or anyone who wants to maintain optimum digestion and absorption. 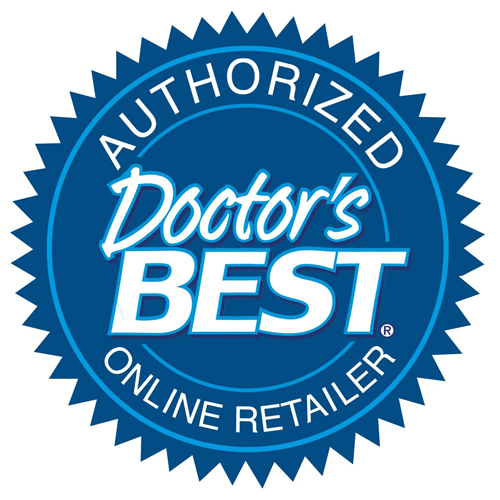 Digestive enzyme products are recommended to maintain and support good digestion and nutrient absorption. Enzyme activity: 2400 GDU (Gelatin Digesting Units) Per Gram. Adults: Take two capsules daily, preferably between meals. For added benefit, take 2 capsules up to 3 times a day. 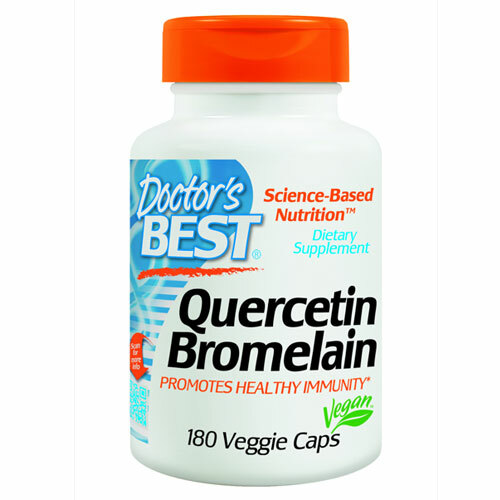 Below are reviews of Quercetin Bromelain - Healthy Immunity - 180 Capsules by bodykind customers. If you have tried this product we'd love to hear what you think so please leave a review. Good product, it is perfect for my rhinitis! Much recommended! I regularly buy these, they are the only thing that actually stops the awful pain related to Intersticial Cystitis. I couldn't be without them. I have tried, but within days the pain returns. Always prompt and reliable delivery. I have used similar products for years to successfully control hay feaver. I love the two products in one easy to swallow capsule. I take two in the morning and enjoy a hay feaver free day. This product really works and at a very good price. If I don't take it I feel sleepy all the time with itchy eyes and throat. I don't normally write product reviews but I feel compelled to do so in this case. I have histamine intolerance and have been taking these Quercetin capsules for a week and I'm amazed at the improvements! My chronic migraines, interstitial cystitis and eczema have all dramatically got better after only a few days. I'd definitively recommend them to anyone with over active immune systems, I don't think I could live without them now! I have had urticaria vasculitis for 15 years and take anti histamine tablets daily. I have spells when the tablets don't control the rash, I suppose because the body gets used to the tablets, and it can take weeks to get it back under control. 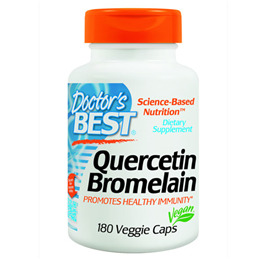 After just such a relapse I am trying Quercetin Bromelain. I have been taking it for 1 week and the rash is going, i don’t know if this is coincidence but I don’t feel it is! I shall keep taking it for the time being and see what happens. I will let you know. Quercetin is a potent and versatile flavonoid and phytonutrient which may help support healthy histamine levels and normal inflammatory processes in the body. Bromelain is a digestive enzyme complex derived from the pineapple stem.